I could not put this novel down. 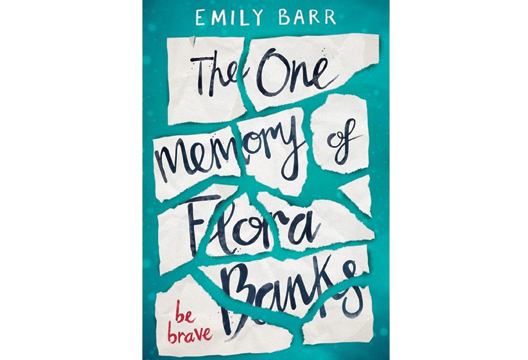 Emily Barr has done a fantastic job of drawing her readers in to a world of confusion, lies and heartbreak through the eyes of Flora Banks, a brave and adventurous 17-year-old. Having suffered a head injury at the age of 10, Flora lives her life with anterograde amnesia by living in the moment and piecing together information about the world around her from notes and letters she leaves for herself. Flora’s story takes us on amazing adventures and takes us through some distressing times. The fact that we see the story through Flora’s eyes gives an insight into the impact anterograde amnesia has, not only on Flora but also on her friends and family. Barr has included some plot twists and a surprise ending, with small clues throughout, making somewhat of a mystery to solve as you read. Anterograde amnesia is a condition rarely discussed in the popular media, perhaps leaving it somewhat misunderstood. Emily Barr has done an excellent job of not only introducing a wider audience to the concept of life without making new memories, but also provides a positive outlook, making it clear that sufferers can go on to live exciting and adventurous lives, just like Flora Banks.